Every class at ABDA is designed to build confidence and self-esteem. We want every dancer to feel happy and succeed not only in dance but in anything they do in life. "Dance Lessons are Life Lessons"! Our classes are conducted in a positive, encouraging and nurturing way along with the discipline and focus the art of dance encompasses. 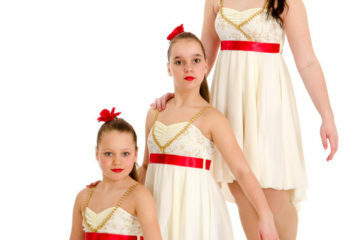 ABDA is a family of dancers. We are very family oriented. We encourage everyone to be themselves and in return accept others for who they are. Our recreational classes give dancers the best quality dance training in a less strict environment. These classes are social and fun. Our accelerated classes and dance company give dancers more serious training with more regulations and discipline, but still done in a super positive environment. The company is designed to give dancers more performance opportunities besides our Holiday Show and end of the year Recital. Other performance opportunity include dance competitions, dance conventions, dance festivals locally and nationally, nursing home performances, parades, etc.